I’m 37 weeks today as I write this. This means I can now officially give birth at the birth center if LB2 decides to come at this point. I can’t believe that! Still need to finalize this guys whole name. What if he came on Star Wars Day? Maternity clothes? Over it. Stoked about wearing my regular clothes again. Sleep: I think I’m sleeping better than I did when I was pregnant with Jack… I’ll take it! Best moment this week: Jack got sick Wednesday and wanted to be held ALL DAY LONG. I really hated that he was sick, but I really loved all the snuggles. Good to get some me and him time before baby comes and be able to give him my undivided attention, as much as I hate him being sick. Movement: Hiccuping in there more often and shifting around. Love feeling a little foot or arm stick out on the side every now and then. Just saying hello. Food cravings: Caprese everything. Give me the mozz, basil, & tomato please. Exercise? Still going strong! But it is getting more challenging with a bigger belly. Symptoms: I’ve been having a little bit more Braxton hicks. I’ve always thought they feel so cool. Today I really felt like I’m starting to slow down energy-wise… but I also kind of feel like I’m getting sick, so there’s that. Mood? Excited, but feeling a little unprepared mentally for giving birth. Looking forward to: LBJ feeling better and meeting our new little peanut. Can’t wait to know what he’s like. 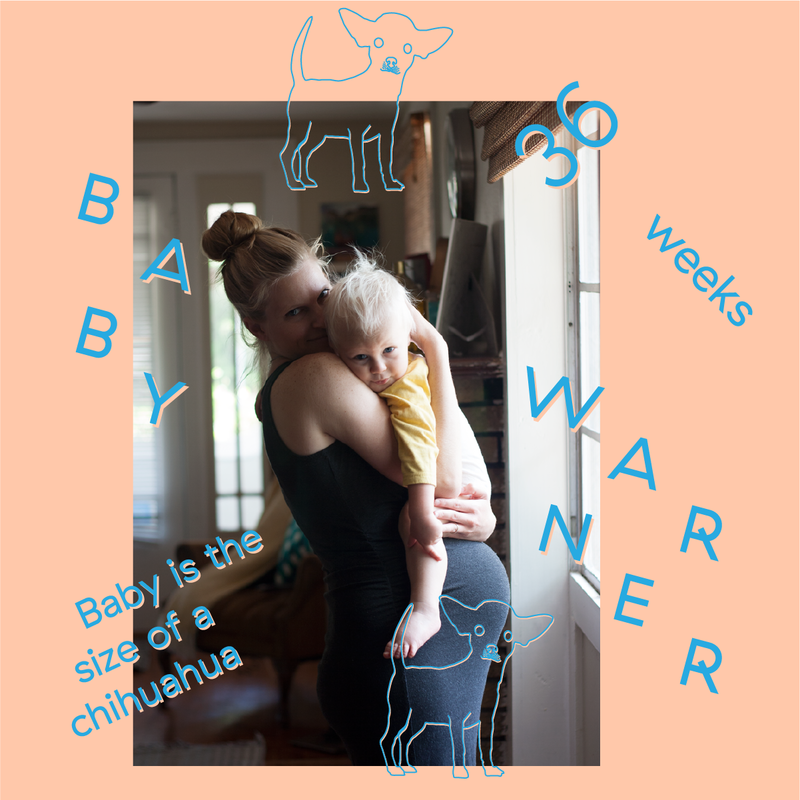 This entry was posted in Momming, Pregnancy and tagged 37 Weeks, Baby, Pregnancy. Bookmark the permalink.